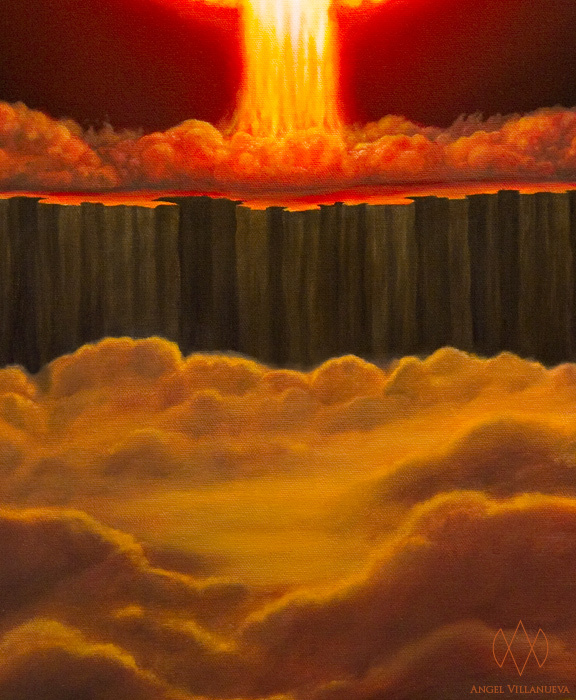 A detail of the first in a series of paintings about forces at play in the time before time. The rest will follow shortly. I for one am excited. This entry was posted	on Thursday, May 19th, 2011 at 9:18 PM	and is filed under Arts and Culture, Painting, Work Update. You can follow any responses to this entry through the RSS 2.0 feed. You can leave a response, or trackback from your own site. Powered by WordPress v 4.9.10. Page in 2.044 seconds.